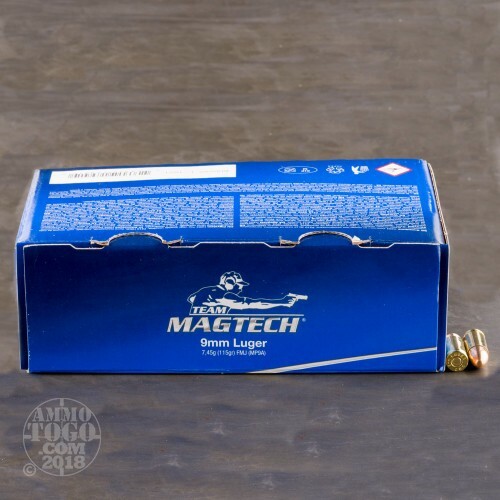 This 9×19mm Parabellum cartridge by Magtech sports a 115 grain projectile, the Commonwealth standard for its caliber and also one that is favored heavily for personal protection -- if you favor it yourself, this bullet will give you very realistic feel for your personal defense load. 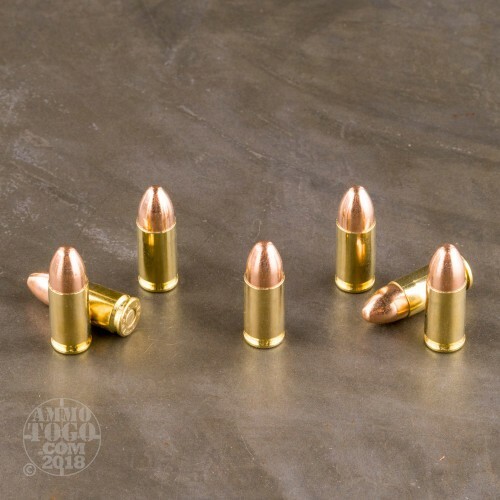 The bullet’s jacket promotes positive functioning in any semi-automatic firearm you use it in, be it a Glock or an AR-15, and will keep your firearm accurate longer by sparing its bore from depositing undue amounts of lead residue. 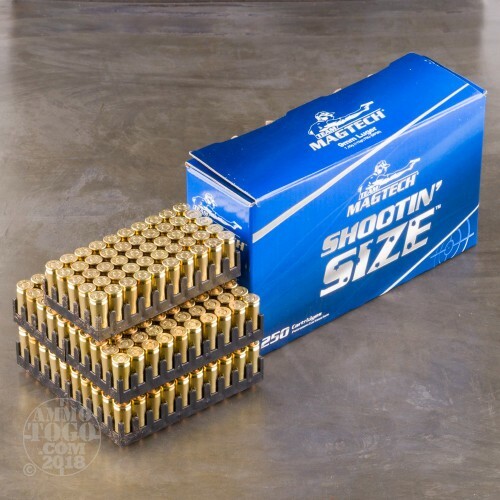 This is Shootin’ Size ammo -- what makes it that way is the number of rounds in the box. With 250 rounds to work with, one box ought to be all that you need to enjoy a fulfilling day at the range. Magtech possesses the most state of the art production facility that there is, although the staggering size of their output potential doesn’t mean that they cut corners. This cartridge’s brass casing is top notch inside and out, and its small pistol primer is non-corrosive so as to keep your weapon’s action happy. 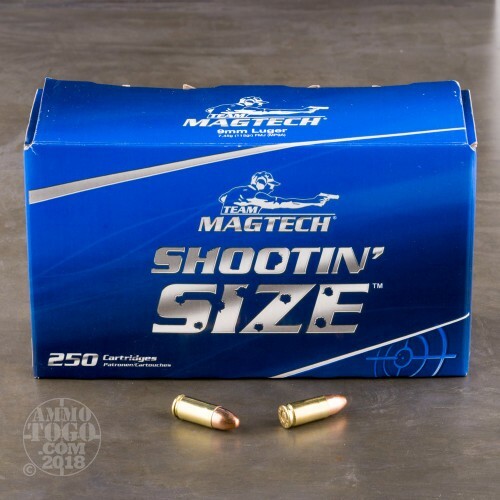 Well, Brian let the cat out of the bag and revealed one of Ammo-to-Go's best kept secrets....Magtech is a great performing round! I've been buying it regularly in both 9mm & 40Cal. Very reliable ammo. No misfires. And cleaning my pistols after practice is a breeze...hardly any black, and no flashings. Only con is now that people know about Magtech ammo it will be harder to get. I came here today to buy a case, and no cases available. Bummer.